Twitter 'Moments' Section Describes Chelsea Manning as "Whistleblower"
A featured moment on Twitter's "Moments" section described convicted military leaker Chelsea Manning as a "U.S. Army whistleblower" on Thursday. Twitter describes its "Moments" section as "curated stories showcasing the very best of what's happening on Twitter." The moment was titled, "Chelsea Manning visits ‘ground zero of the war on trans people.'" One of the featured tweets in the moment read, "You can't be anything other than full of admiration for someone who was put through what she was put through by her Govt yet still shows up!" Manning tweeted about her appearance from her verified account. 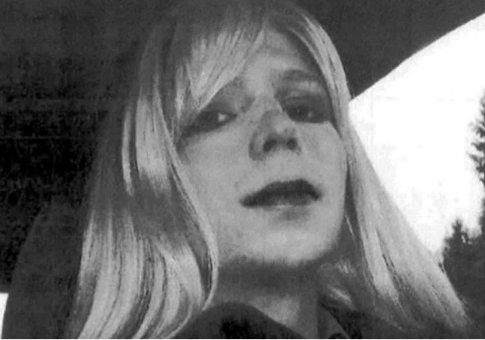 Manning, a transgender woman and former Army intelligence analyst, was found guilty of 17 of 22 charges against her when she was known as Bradley, including violations of the Espionage Act, "wrongfully and wantonly" causing intelligence belonging to the U.S. to be published on the internet, and "having knowledge that intelligence published on the internet is accessible to the enemy," according to the Guardian. Manning was sentenced to 35 years in prison after leaking hundreds of thousands of classified U.S. government documents that WikiLeaks subsequently published. She only served seven years in prison, however, after former President Barack Obama commuted the bulk of her sentence shortly before he left office. None of the featured tweets mentioned Manning's crimes. This entry was posted in Culture and tagged Bradley Manning, Chelsea Manning, Transgenderism, Twitter. Bookmark the permalink.